A women-made team of experts in innovative learning has designed the system that has the potential to grant access to modern education to kids around the World. PressPad is a mobile technology backbone of this teachers app project. Mobile apps are an integral and natural part of everyday life – we use them to communicate with each other, get the daily news, read magazines, make purchases. But apps potential is much greater and the WhyBlueSky, a Polish-based startup, proves it. Their overall idea was to create sets of professional training for teachers in Africa. They wanted to reach out to educators located in Nigeria. The question was how to distribute their premium product in the country with limited access to the internet. The answer was controlled digital distribution with a mobile app from PressPad. It is especially obvious in public transport. At the bus stops, in the cafes. Publishing industry has changed. When have you seen someone reading a print newspaper lately? Those times are gone. Now, buying and reading magazines comes down to one click. It is time to face reality – not only publishing is going digital, but also selling. And people like it that way, don’t they? PressPad, a digital publishing technology company supports magazine publishers since 2011. Now, they are on their way to innovate business models in the news publishing industry with a better paywall implementation. “How to monetize online content?” — This evergreen question may finally get the correct answer. Continue readingA Flexible Paywall in the PressPad News Apps — Innovation or Revelation to the News Publishing Industry? 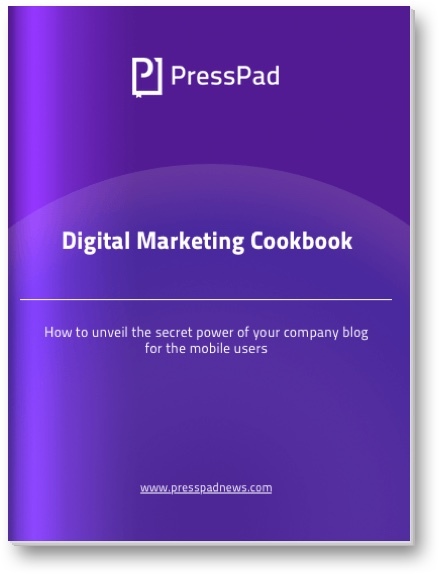 This amazing cookbook will guide you, step by step, how to significantly increase the number of installs of your mobile app. You will understand opportunities, bottlenecks and how to suppress them.